For the first time at the beginning of this season, TKOB announced a dedicated program "Art Education" as the priority of this year's artistic year. Today, at 7pm, the Grand Concert of the Children's Choir of TKOB, emerging from this elite project, which for the first time brings together 50 children coming out of the "Come to sing with us” contest, to formed the basket of children of TKOB. 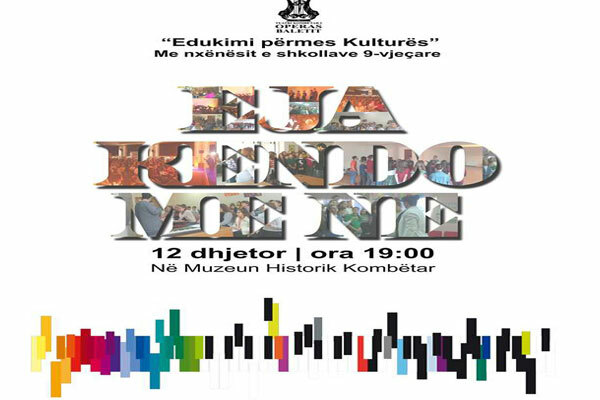 The entry is free and we invite you to be present at a very important moment of TKOB, with a show fully dedicated to the young generation, the public of the future, the most gifted children of Tirana.